Mall-goers of the Metro South can now have the best cinema experience with Vista Cinemas' first and only MX4D® Motion EFX Theater. Vista Cinema's MX4D® theater lets Metro South residents enjoy the latest cinema innovations without them needing to go too far from home. This latest evolution in 4D cinema technology features MX4D® theater seats that move in-sync with the action on-screen. Stunning visuals with 4-D effects bring viewers so close to the action that you want to reach out and touch it. The media was given the privilege to test it out last April 7 at the exclusive screening of Batman vs Superman. It was my first time to do so and I realized that anything can happen with MX4D®. My chair vibrates and moves, making me feel every jolt, poke, thud and tilt. MX4D® EFX Theater in Vista Cinema features 80 seats. MX4D® brings the Batman vs Superman great spectacle to epic proportions as you feel each and every punch they throw at each other. The air seems to be moving as Superman flies, thanks to the timed wind and mist atomizers made by special EFX generators inside the cinema. 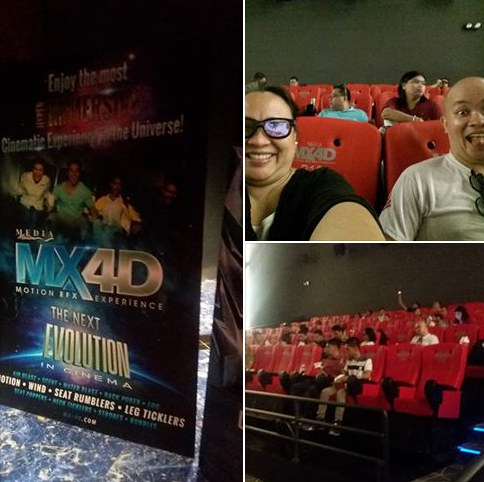 MX4D® theatre seat even made me feel the movie character's reaction when something scampers by the foot. It was an awesome treat given the total immersive environment with all the actual feel, smell and visual stimulations! The built-in motion and effects is coupled with the best in audio technology--Dolby Atmos. The Atmos System produces sound projected from every direction in the cinema and moves with the action on-screen to further enhance the viewing experience of blockbuster movies. Aside from the MX4D® theater, Vista Cinemas also opened three other cinemas in Evia that features the Atmos sound system. Cinema 3 and Cinema 4 Dolby® Atmos™ comes with 169 seats each. Cinema 2 that offers VIP Seating with Dolby® Atmos™ has a seating capacity of 62. It has 31 customized love seats take the romantic movie experience to a whole new level of comfort and coziness. All four theaters of the Vista Cinemas are equipped with luxury seating from the FIGUERAS and LUXUS brands available only in select locations around the world. Their next line up of movie include Captain America: Civil War on MX4D®. The pre- selling of ticket is ongoing for the April 27 screening wherein they will play it for 24 hours in Vista Cinema starting at midnight. 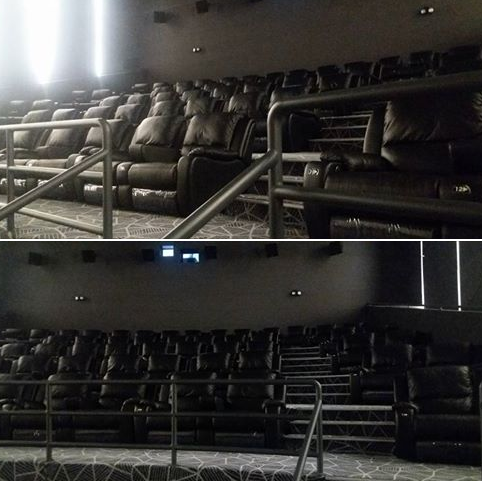 The Vista Mall in Taguig City also have the VIP Theater, Dolby Atmos cinema and a 3D cinema. With more Vista Cinema locations all over the country set to open within the year, more Filipinos can look forward to a new era of premier movie viewing, right by their doorstep. MX4D® is the future of cinema. Tease your senses and try out how MX4D® theatre redefine movie watching experience. Do visit facebook.com/evialifestylecenter for updates and promotions.